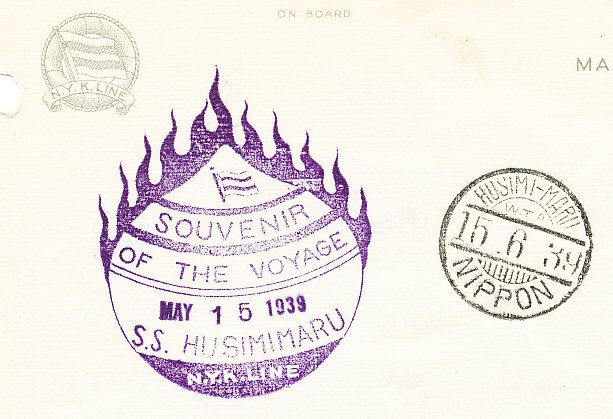 These tow short letters were written by the 2nd Officer on the Japanese ship, SS HusimiMaru of the N.Y.K. Line. The SS Fushimi Maru was built in 1914, in 1938 it was renamed Husimi Maru. In 1943, during WWII, the Husimi Maru was sunk by the USS Tarpon, a U.S. Submarine. 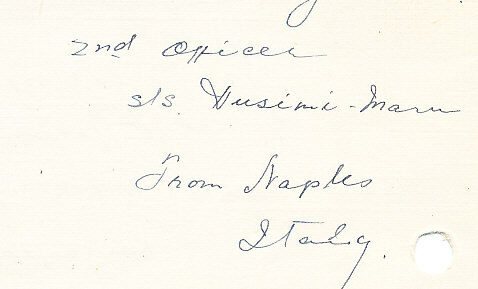 This letter was written in 1939. The writer’s English, was not perfect, but is far better than my Japanese. 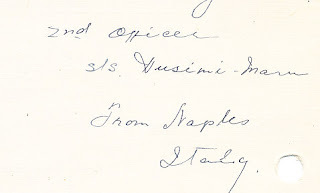 From the letters…..
Just now I received of your letter so I posted at Naples Italy. And the same time I send some stamps for you. If you collected other countrys stamp. And then, next once will be send at Marseilles (France) or Gibraltar or London. I am very sorry. I can not write a letter for my thinking so crossed the letter. But if you want more other country stamp. I send for you because I can get very easy, and I am also collection of many kinds of other country’s stamp. If you please send me some American stamps. I go back Japan at about 25th July and perhaps changed ship for chief officer (other ship) so my address is….. 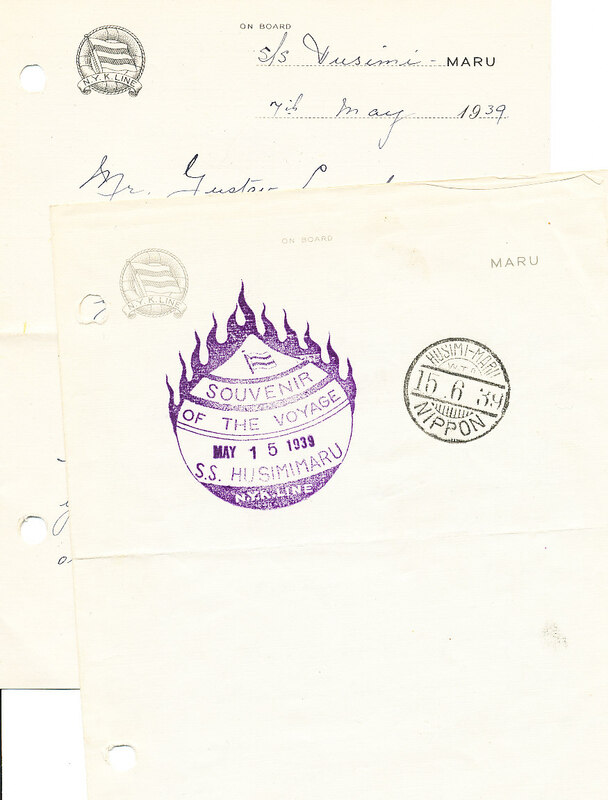 So I send for you my ship’s “Souvenir of the Voyage” mark and wireless paper office mark. But we have not ship’s post office. 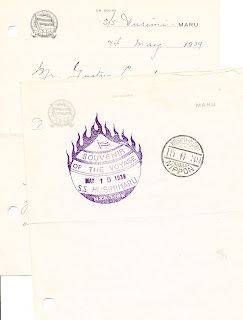 So I arranged for your letter to co’s M.S. “Terukri Maru” and posted from Naples. And I collect some French Morocco and Belgium, Holland, so send you. Please write me again.